Ceweld® go's further, bigger multinationals usualy have production units in several countries that makes it practicaly impossible to grand each badge within à certain classification. To avoid this from happening all our seamless fluxcored, coppercoated welding wires are made at the same location at all times. 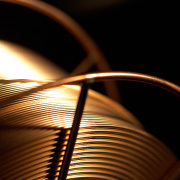 These seamless fluxcored welding wires are higher qualified at approval companies and ables you to have less welding procedures and less different types of welding wires covering even more welding jobs. Our Standard Ceweld AA M460 for example is approved in class 5Y46 which means that you are covered up to S460 steel grade at minus 60 degrees Celsius with only 1 wire. Others have to use more expensive nickel alloyed welding wires to obtain these values and this requires more welding procedures. On top of this Ceweld AA M460 is also suitable for PWHT which reduces the numbers of welding wires and procedures again. After all you will save a lot of money by using Ceweld seamless fluxcored welding wires and it ables you to offer à higher quality to your customers As well ! Certilas® offers probably the world’s largest range of welding consumables. In this catalogue we present our full range of welding products.